Box Text: "Look Grant, you've got to help us. With the computer security system out of commission, there's no telling how many dinosaurs have escaped and are running around free. We have to recapture them or Jurassic Park won't open on schedule. Not to mention the fact that with those dangerous animals out there we have no way of getting off the island alive!" 10-13-2015 herkamur Box Text "Look Grant, you've got to help us. With the computer security system out of commission, there's no telling how many dinosaurs have escaped and are running around free. We have to recapture them or Jurassic Park won't open on schedule. Not to mention the fact that with those dangerous animals out there we have no way of getting off the island alive!" 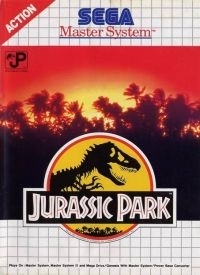 This is a list of VGCollect users who have Jurassic Park in their Collection. 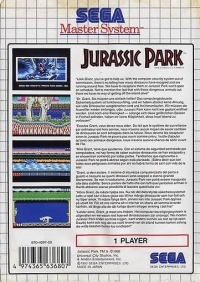 This is a list of VGCollect users who have Jurassic Park in their Sell List. This is a list of VGCollect users who have Jurassic Park in their Wish List.